Description You're a happy little allien. 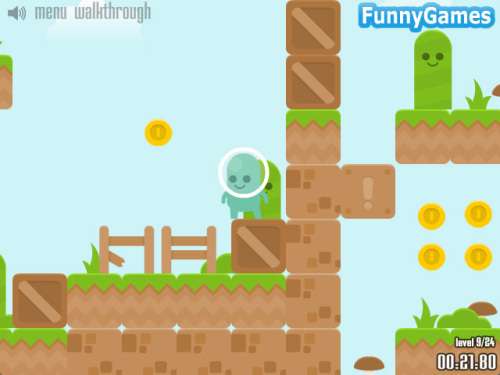 Solve fun puzzles, push crates and jump around to collect all the coins. Use WASD or ARROW KEYS to move around the world and SPACEBAR to push nearby crates.